One of my favorite vegetables is eggplant, especially Pantescan eggplant harvested from our garden. 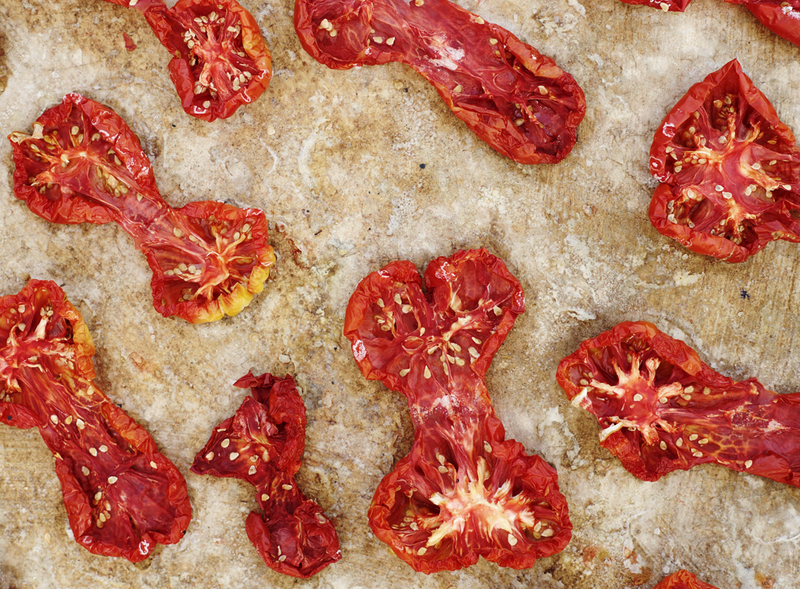 This year we also had loads of tomatoes, so some of them are now sun dried. They are an explosion of flavor! We eat them like candy. Now and then I use them in cooking, as in this eggplant dish. Cut the eggplant lengthwise about 4 pieces or into pieces that are a half inch (1.5 cm) thick. Sprinkle a little salt on both sides and set aside for about 20 minutes to draw out the fluid. Chop the olives, tomatoes, and almonds coarsely. Cut the mozzarella into small pieces. 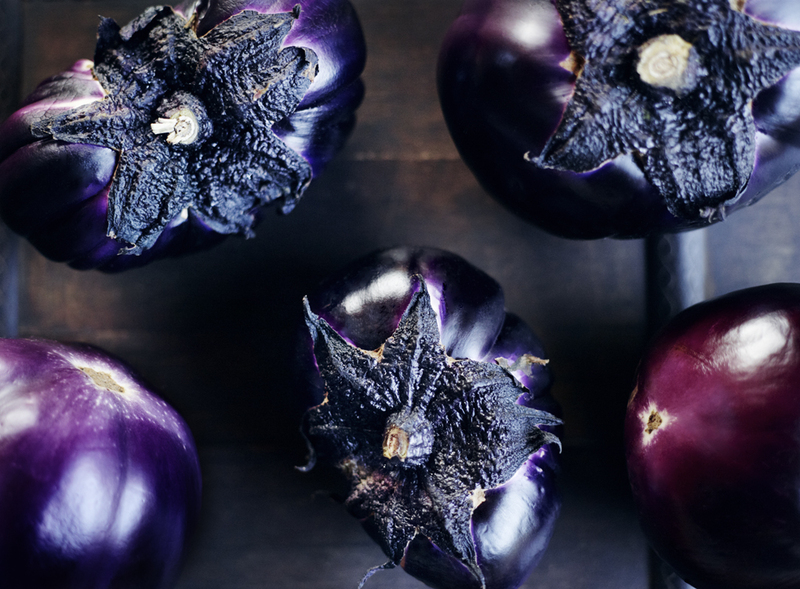 Wipe the eggplant patties using a paper towel (so it becomes dry and excess salt disappears). Heat up a frying pan with plenty of olive oil. Sauté the patties on both sides until golden and soft but without falling into pieces. Pour more oil in the skillet when needed and season with black pepper. Remove the patties and place them on a baking sheet. 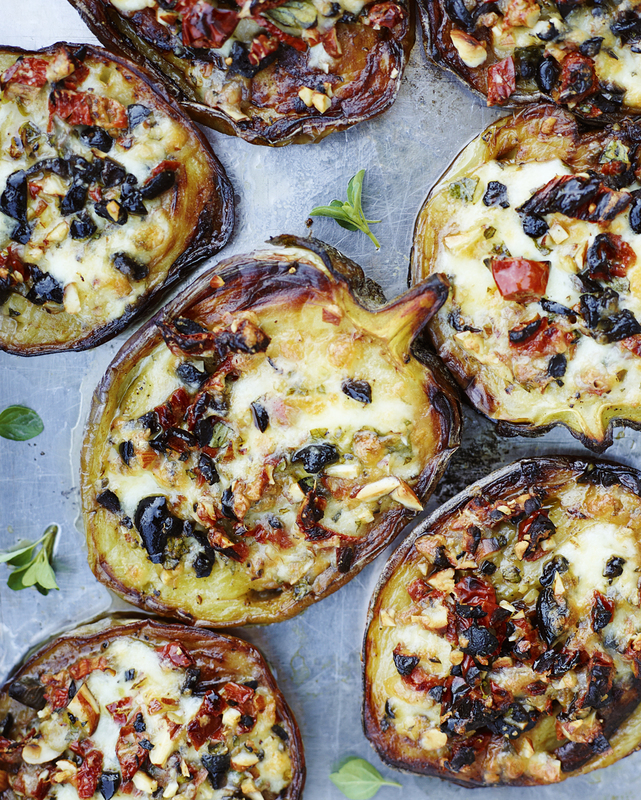 Sprinkle the olives, sun dried tomatoes and almonds on top of the eggplant. Top with the mozzarella cheese and bake at 440 F (225 C) on the broiler setting for about 2-3 minutes. This entry was posted in Main Course Recipes and tagged almonds, Anna Huerta, eggplant, Eggplant Pantesca, http://www.annahuerta.com/, olive oil, Olives, Pantelleria, Sicily, summer, sundried tomatoes, tomatoes, Under the Almond Tree on August 26, 2013 by Anna Huerta.